Ship with dredge working in channel. Ship with dredge working in channel. environmental harvesting dredging dredgeing siltation silty murky digging lifting scraping scrape Environment |Ship with dredge working in channel. Diver descending rubble slope created by dredging operations at Port Phillip Bay heads. Diver descending rubble slope created by dredging operations at Port Phillip Bay heads. dredge dredged broke broken brake destroy destroyed environment destruction devestate devistate devistation devestation diving dive diver diving adventure tourist ecotourism eco tourism tourism adventurous discover discovery discovering Environment |Diver descending rubble slope created by dredging operations at Port Phillip Bay heads. 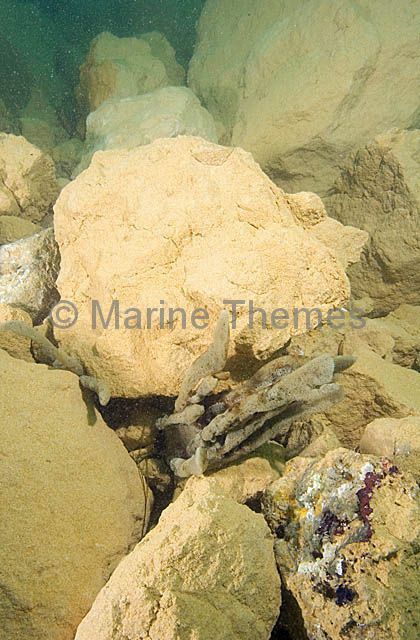 Rubble and boulders on seabed created by dredging operations. 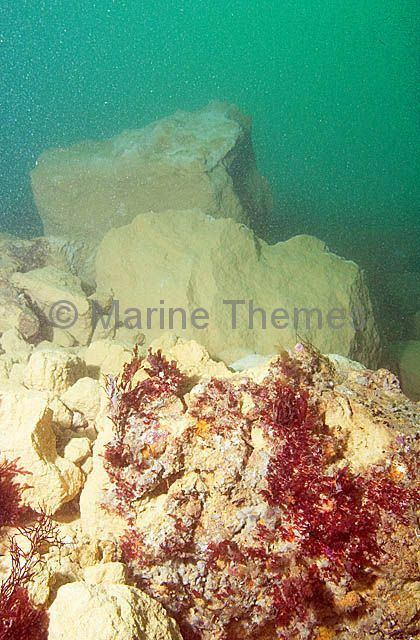 Rubble and boulders on seabed created by dredging operations. dredge dredged broke broken brake destroy destroyed environment destruction devestate devistate devistation devestation vertical Environment |Rubble and boulders on seabed created by dredging operations. 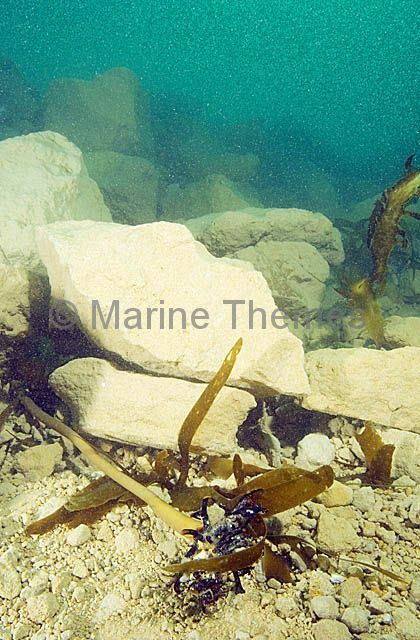 Broken kelp stem and grey sponge on rubble slope caused by dredging operations. 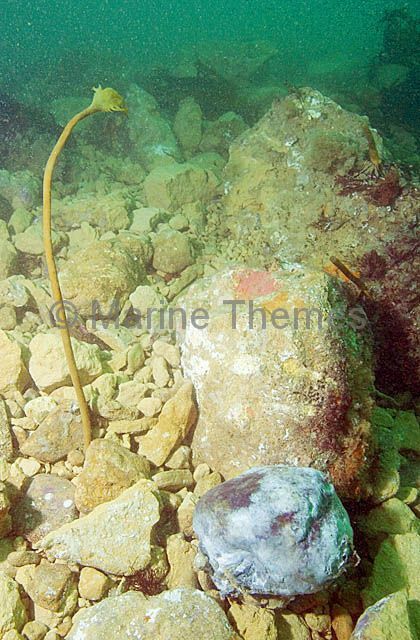 Broken kelp stem and grey sponge on rubble slope caused by dredging operations. dredge dredged broke broken brake destroy destroyed environment destruction devestate devistate devistation devestation vertical Environment |Broken kelp stem and grey sponge on rubble slope caused by dredging operations. 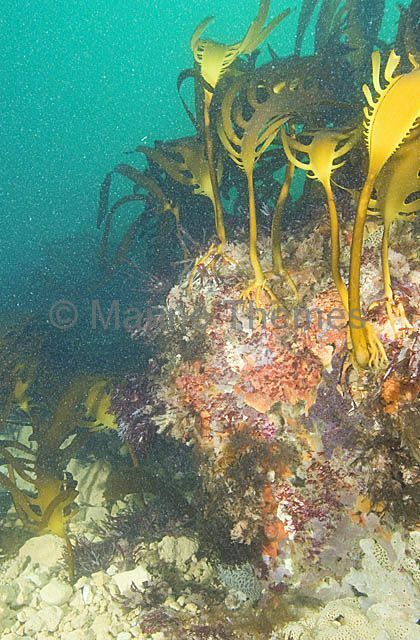 Kelp and sponge growth on edge of rubble plain caused by dredging operations. Kelp and sponge growth on edge of rubble plain caused by dredging operations. dredge dredged broke broken brake destroy destroyed environment destruction devestate devistate devistation devestation before after contrast contrasting compare comparison Environment |Kelp and sponge growth on edge of rubble plain caused by dredging operations. Kelp and sponge growth on edge of rubble plain caused by dredging operations. dredge dredged broke broken brake destroy destroyed environment destruction devestate devistate devistation devestation before after contrast contrasting compare comparison vertical Environment |Kelp and sponge growth on edge of rubble plain caused by dredging operations. 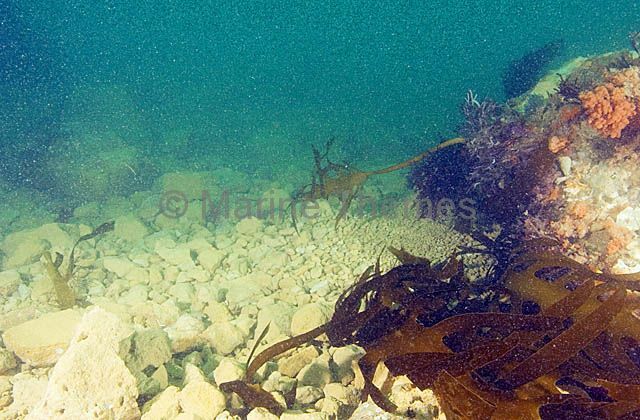 Kelp partially smothered by rubble caused by dredging operations. 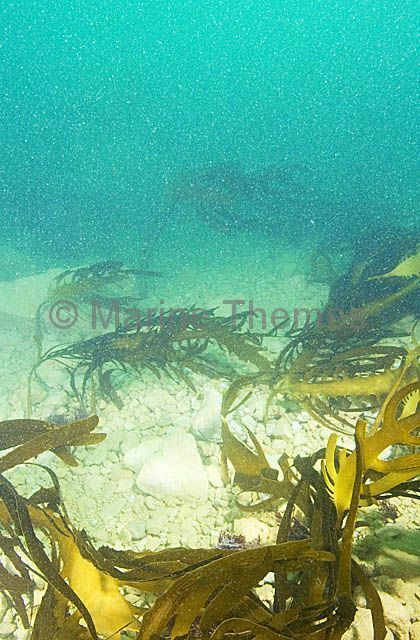 Kelp partially smothered by rubble caused by dredging operations. dredge dredged broke broken brake destroy destroyed environment destruction devestate devistate devistation devestation before after contrast contrasting compare comparison vertical Environment |Kelp partially smothered by rubble caused by dredging operations. 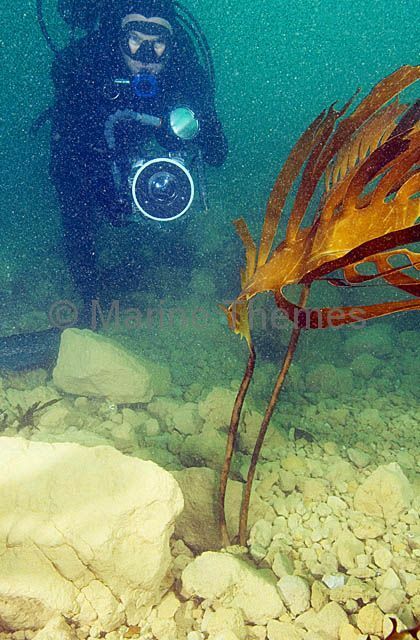 Diver with video camera next to surviving kelp strand in area smothered by rubble caused by dredging operations. 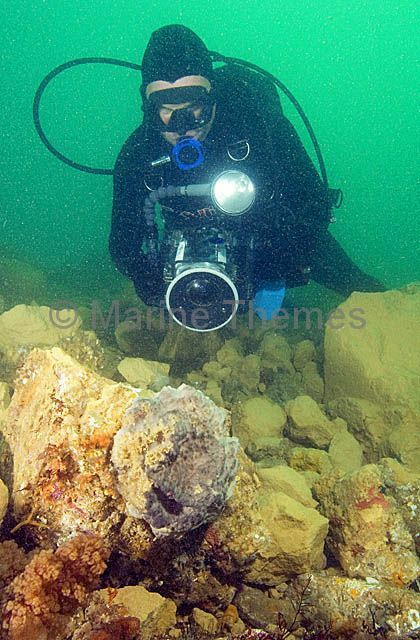 Diver with video camera next to surviving kelp strand in area smothered by rubble caused by dredging operations. dredge dredged broke broken brake destroy destroyed environment destruction devestate devistate devistation devestation before after contrast contrasting compare comparison vertical Environment |Diver with video camera next to surviving kelp strand in area smothered by rubble caused by dredging operations. Kelp torn up and partially smothered by rubble caused by dredging operations. Kelp torn up and partially smothered by rubble caused by dredging operations. dredge dredged broke broken brake destroy destroyed environment destruction devestate devistate devistation devestation before after contrast contrasting compare comparison vertical Environment |Kelp torn up and partially smothered by rubble caused by dredging operations. 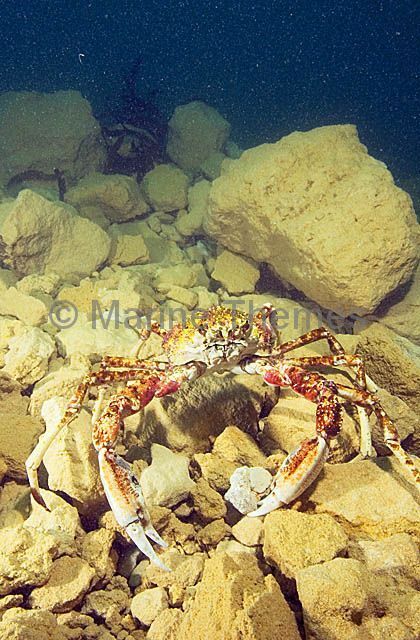 Diver with video camera swimming over rubble slope created by dredging operations. 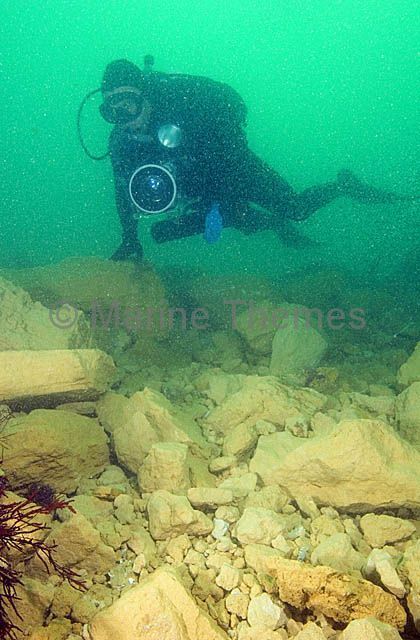 Diver with video camera swimming over rubble slope created by dredging operations. dredge dredged broke broken brake destroy destroyed environment destruction devestate devistate devistation devestation before after contrast contrasting compare comparison vertical dive diver diving adventure tourist ecotourism eco tourism tourism adventurous discover discovery discovering vertical Environment |Diver with video camera swimming over rubble slope created by dredging operations. 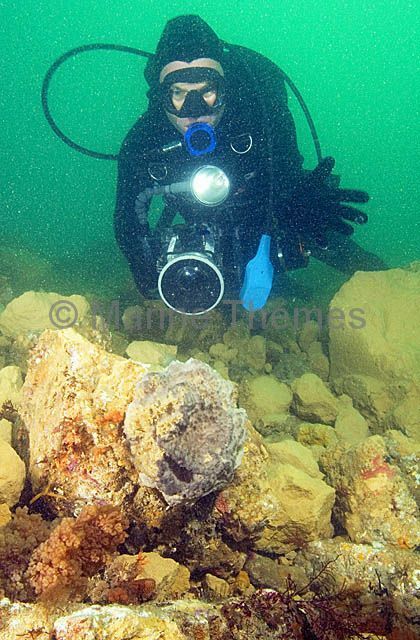 Diver with video camera with soft coral, sponge and kelp on edge of rubble slope created by dredging operations. 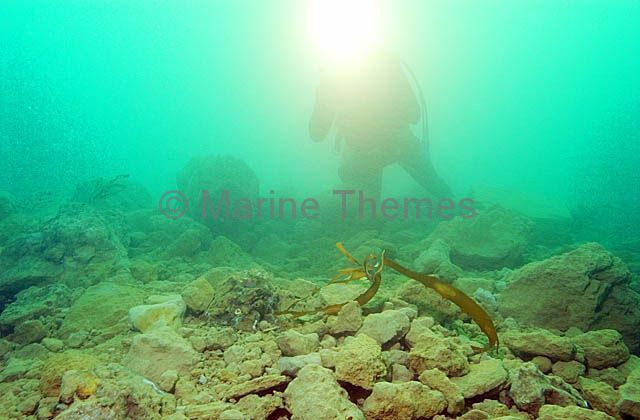 Diver with video camera with soft coral, sponge and kelp on edge of rubble slope created by dredging operations. dredge dredged broke broken brake destroy destroyed environment destruction devestate devistate devistation devestation before after contrast contrasting compare comparison vertical dive diver diving adventure tourist ecotourism eco tourism tourism adventurous discover discovery discovering vertical Environment |Diver with video camera with soft coral, sponge and kelp on edge of rubble slope created by dredging operations. Grey Finger Sponge smothered among rubble caused by dredging operations. Grey Finger Sponge smothered among rubble caused by dredging operations. dredge dredged broke broken brake destroy destroyed environment destruction devestate devistate devistation devestation before after contrast contrasting compare comparison vertical Environment |Grey Finger Sponge smothered among rubble caused by dredging operations. 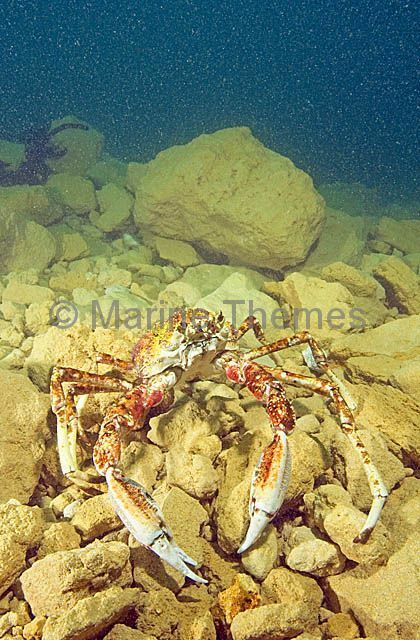 Spider Crab (Leptomithrax gaimardii) searching for food over rubble slope created by dredging operations. 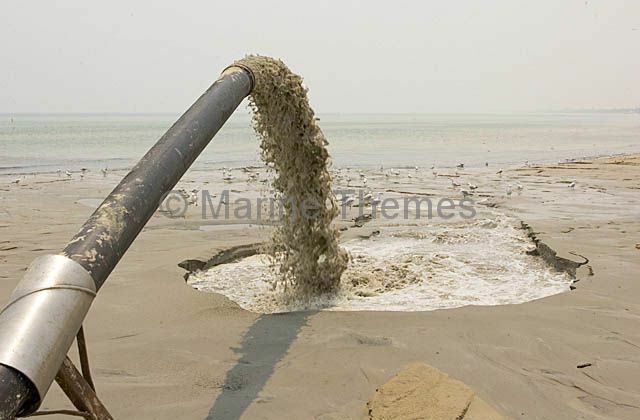 Sand dredge in operation at the mouth of a river entering a large bay. 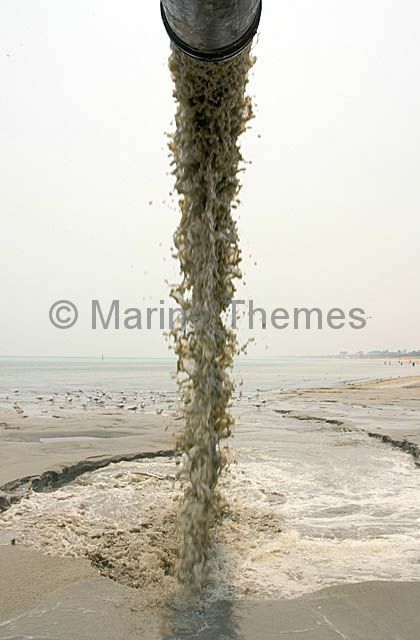 Sand dredge in operation at the mouth of a river entering a large bay. 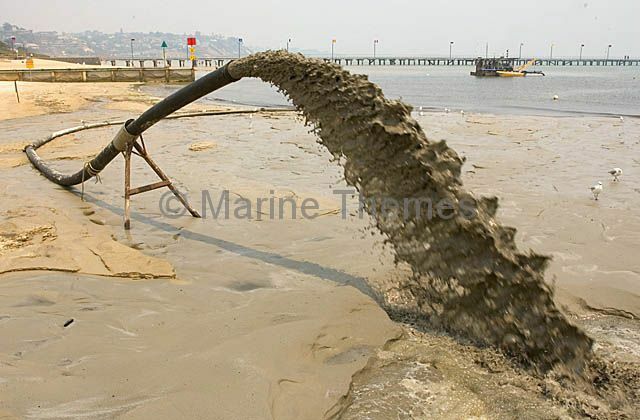 dredging dredgeing dig digging excavate excavating excavated pump pumping flood flooding pumped beach sand sandy silt silty silted barge boat shore shoreline pipe pipes piped dump dumped dumping environment hose hosing spray spraying spurt spurting Environment |Sand dredge in operation at the mouth of a river entering a large bay. 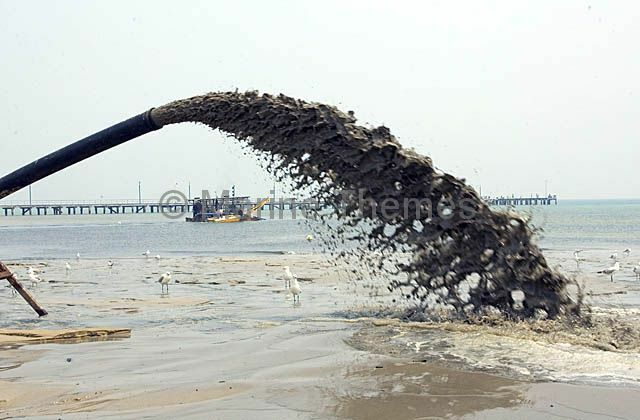 Sand dredge in operation at the mouth of a river entering a large bay. 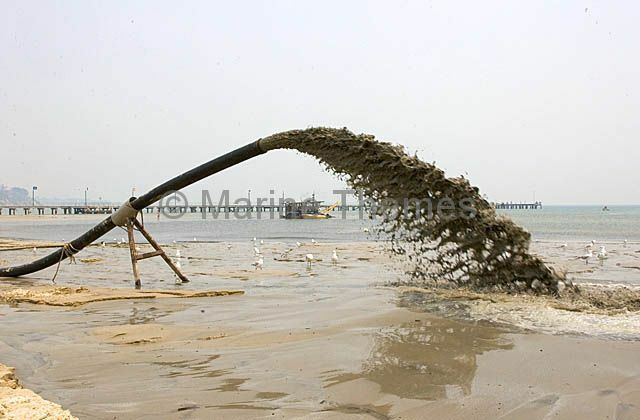 dredging dredgeing dig digging excavate excavating excavated pump pumping flood flooding pumped beach sand sandy silt silty silted barge boat shore shoreline pipe pipes piped dump dumped dumping environment vertical hose hosing spray spraying spurt spurting Environment |Sand dredge in operation at the mouth of a river entering a large bay.